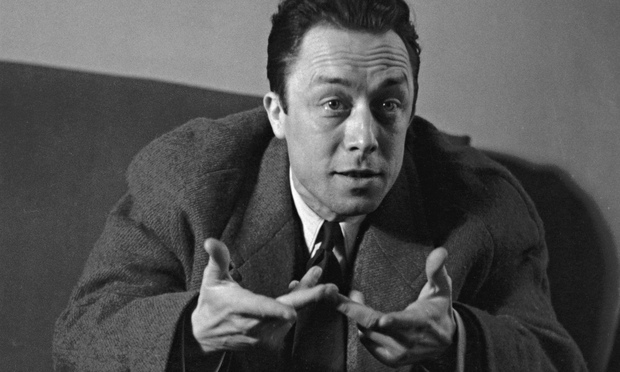 Few writers kept their work as close to the subject of death as did Albert Camus, one of the greatest novelists and essayists of the 20th century, who met his own end in a road accident 55 years ago this week, on the Lyon-Paris Route Nationale 6. Of all Camus’ novels, none described man’s confrontation – and cohabitation – with death so vividly and on such an epic scale as La Peste, translated as The Plague. Most of us read The Plague as teenagers, and we should all read it again. And again: for not only are all humankind’s responses to death represented in it, but now – with the advent of Ebola – the book works on the literal as well as metaphorical level. Camus’ story is that of a group of men, defined by their gathering around and against the plague. In it we encounter the courage, fear and calculation that we read or hear in every story about West Africa’s efforts to curtail and confront Ebola; through its narrator, Dr Rieux, we can identity with the hundreds of Cuban doctors who went immediately to the plague’s Ground Zero, and those such as the Scottish nurse currently fighting for her life at the Royal Free Hospital in London. I think Camus intended such a literal – as well as allegorical – reading. It is generally agreed that the pestilence he describes signifies the Third Reich. Writing in 1947, as the world whooped victory and “Never Again”, Camus insisted that the next plague “would rouse up its rats again” for “the bane and enlightenment of men”. But Camus was also aware of the great cholera epidemic in Oran, Algeria – where the novel is set – in 1849, and of others in his native district of Mondovi in the Algerian interior. But there is another reason we should all re-read La Peste (preferably in French or the English translation by Stuart Gilbert, a work of literature in itself). Like every good metaphorical or allegorical work, it can represent beyond its intentions; including pestilences both moral and metaphorical that have happened after Camus’ own lifetime. The critic John Cruikshank insists that La Peste is also a reflection on “man’s metaphysical dereliction in the world”, in which case the applications are endless, and up to us. So it is worth reflection on this anniversary of his death: what would the plague signify now? Nowadays, I think, La Peste can tell the story of a different kind of plague: that of a destructive, hyper-materialist, turbo-capitalism; and can do so as well as any applied contemporary commentary. In fact especially so, for this reason: the Absurd. Our society is absurd, and Camus’ novel examines – among many other things, and for all its moralising – our relationship to the absurdity of modern existence. It can describe very well the plague in a society which blares its phantasgmagoria across the poor world so that millions come, aboard tomb ships or across murderous deserts, in search of its empty promises; and which even destroys the constant against which Camus measured human mortality: nature. Essential to Camus’ existential isolation was the discrepancy between the power and beauty of nature, and the desolation of the human condition. From his earliest days, he loved the sea and deserts, and saw man’s mortality in the light of their indifferent vastness. The master of the 20th-century absurd, Samuel Beckett, was born seven years before Camus, but was active in the French resistance at the same time. In Beckett’s Happy Days, Winnie meditates that “Sometimes it is all over for the day, all done, all said, all ready for the night, and the day not over, far from over, the night not ready, far from ready”. In this place, as in the wait for Godot, there is no purposeful human agency. In La Peste, however, absurdity is a source of value, values and even action. The group of men gathered around the narrative represent, it feels, all human response to calamity. Each takes his turn to tell it, although it is the doctor, Rieux – the hidden narrator – who battles the pestilence with his work, medicine, just as Camus tried to battle first injustice, later fascism, with his labour in words. The difference from Beckett is this: as the hunter for Beckett’s Molloy concludes: “Then I went back to the house and wrote. It is midnight. The rain is beating on the windows. It was not midnight. It was not raining” – ergo, even the narration is self-negating. But Camus’ characters in La Peste illustrate that, although they know they are powerless against plague, they can bear witness to it, and this is in itself of value. When he accepted the Nobel prize for literature in 1957, Camus’ magnificent speech urged that it was the honour and burden of the writer “to do so much more than write”. Camus saw no dichotomy between the emptiness which lies at the heart of L’Etranger, and the endeavours of La Peste. He wrote once about “the wine of the absurd and the bread of indifference which will nourish [man’s] greatness”. The fact of absurd powerlessness is no reason not to act; Camus, for all his deep sense of the absurd, urges us to action. But there was no moral place for humankind in nature. The distance of nature’s power and beauty is almost a form of torture: in Camus’ first major novel, La Mort Heureuse, Mersault ponders the “inhuman beauty of the April morning”. Only one letter separates Mersault’s name from that of his more complex and ambiguous sucessor, Meursault, anti-hero of L’Etranger: he is a man of many questions but no answers. Yet even Meursault deduces that in killing an Arab on the beach: “I understand that I had destroyed the harmony of the day”. But why does La Peste speak so loudly to us now? Camus wrote early on, in an essay entitled Le Desert, about “repugnant materialism”. He was on a track of vital import to us now, in a world of materalism so repugnant it has become a plague. Everything mankind does in a turbo-capitalist age, with his ravaging of nature, “destroys the harmony of the day”. Every bleat of the politicians echoes those in authority during Camus’ fictitious plague in Oran: “There are no rats in the building”, insists the janitor as they die around him. The newspapers rally the populace with news that the pestilence is under control when it is not. Camus offers us a way of abandoning our pointless quest for “oneness” with ourselves, but carrying on nevertheless, fighting: For some ill-defined moral justice, even though we have ceased to be able to define it. At the conclusion to La Peste, Rieux – whose wife has died of illness elsewhere, unconnected with the pestilence – watches families and lovers reunite when the gates of Oran are finally opened. He wonders – in the wake of so much suffering and pointless struggle – whether there can be peace of mind or fulfilment without hope, and concludes that yes, perhaps there can, for those “who knew now that if there is one thing one can always yearn for, and sometimes attain, it is human love”. These are the people “whose desires are limited to man, and his humble yet formidable love” and who “should enter, if only now and again, into their reward”. But Rieux has already qualified these words before he has written them, a few lines earlier. “But for those others”, he says, “who aspired beyond and above the human individual towards something they could not even imagine, there had been no answer”. No answer. No description, even, of what that “something” else might be. And yet it nags, it makes demands of us, and those who identify with Rieux know what it is, though we have abandoned a definition. Pointless, but imperative; political to a degree, but impatient with politics; moral certainly, but uneasily – and with serious regard to that vastness in nature against which our mortality measures itself, but which we are now killing. Something to ponder further, then – as I did as I drove on Sunday up what is now Autoroute 6 between Lyon and Paris with a little trepidation on the anniversary itself, past Villeblevin, where the Facel Vega sports car driven by Camus’ friend Michel Gallimard crashed both men to their deaths.